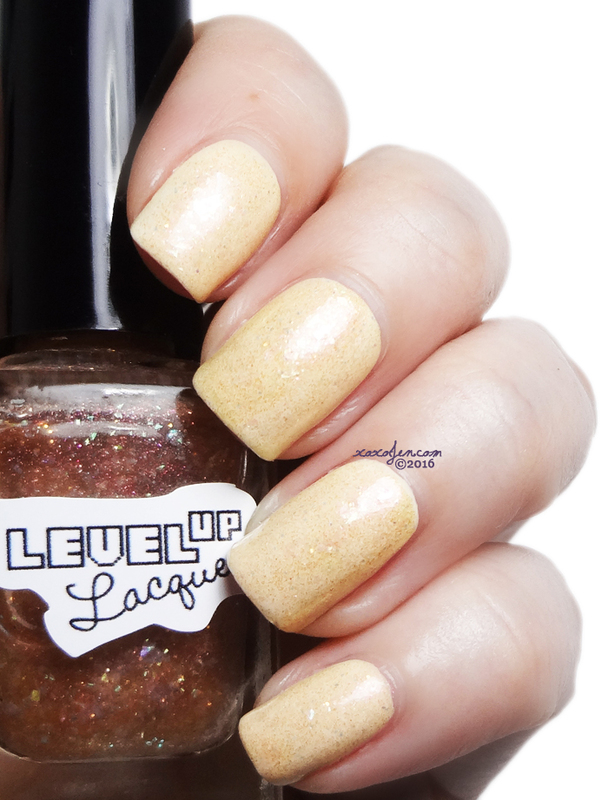 Ash from the newly relaunched polish LevelUP Lacquer asked if I'd like to review some polishes. I jumped at the chance and she chose four to send to me. She is inspired by everything nerdy or geeky and loves to create. 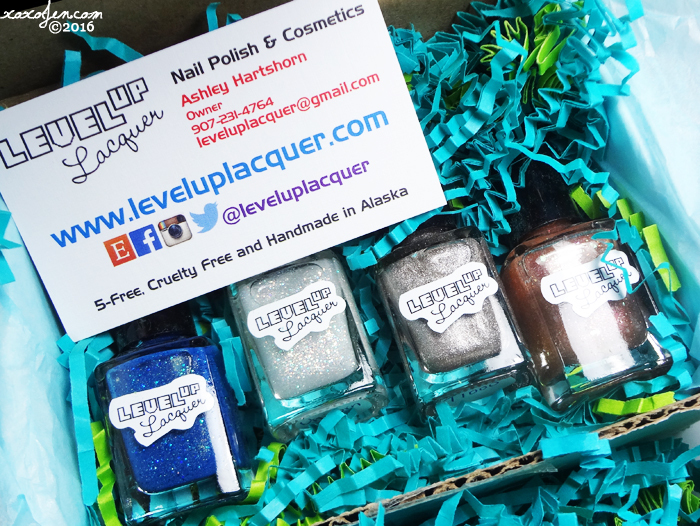 You can find her shop stocked to the brim with beautiful polishes, including the four I'm reviewing! 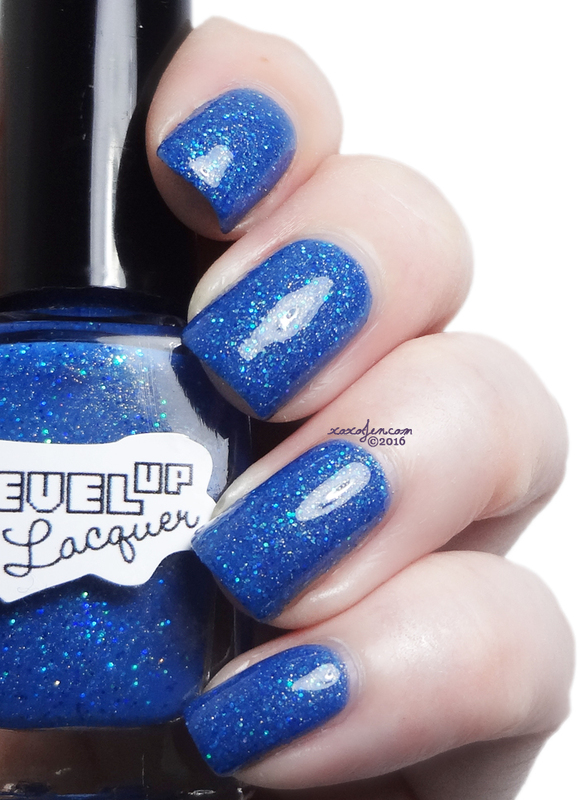 Narrow Sea- This polish is a solid blue glitter cream. 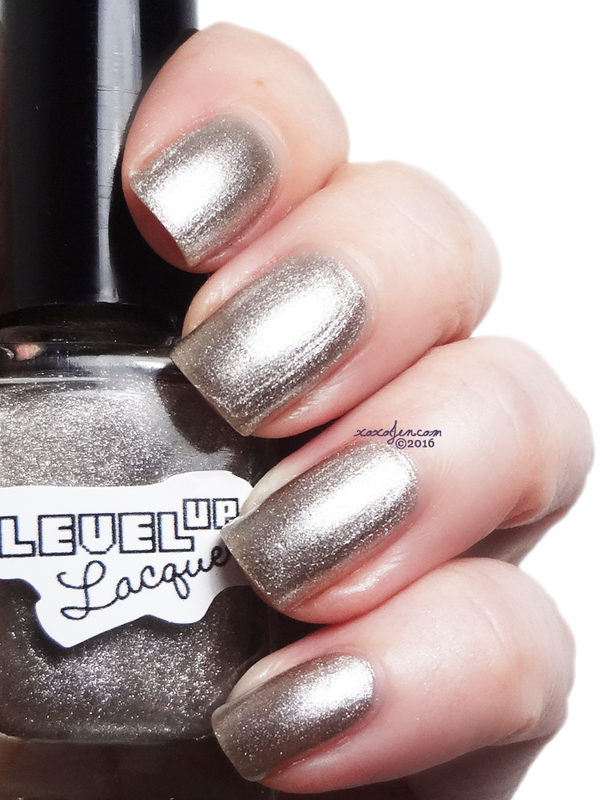 I wore two thickish coats for opacity and topcoat for a glossy shine. 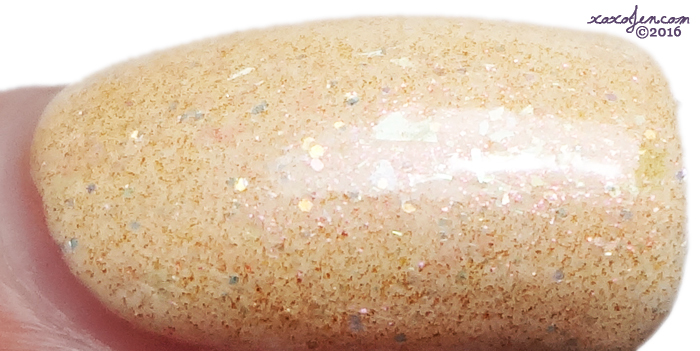 Song of Fire- This topper has gold and red micro glitters and rainbow flakies. I wore this over LC Milky Ways, an offwhite cream polish. I think it would be awesome over blue for a patina effect. T-1000, a metallic mirror finish with a slightly taupe base is solid in just 2 coats. It shines heavily in all light because of it's reflective pigment. Must be seen to be believed! This polish was inspired by Terminator 2- Judgement Day. 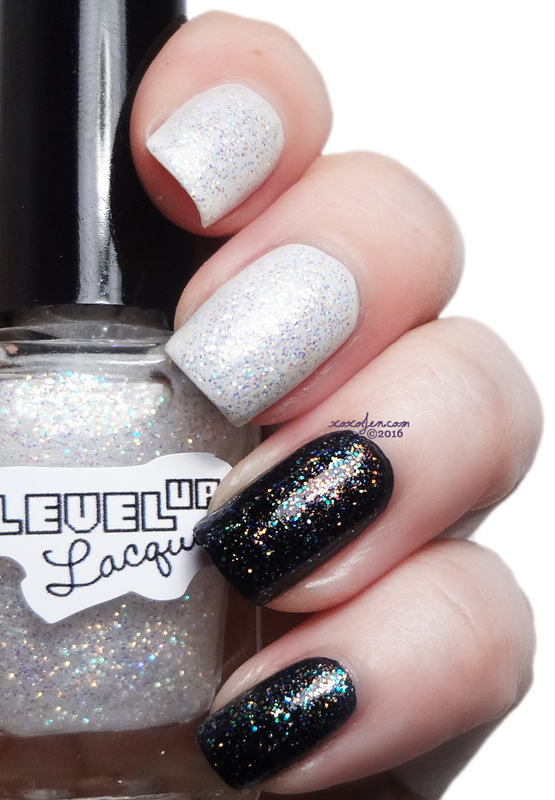 Unicorn Poo is a fun iridescent glitter topper with tons of sparkle and sass! This is just one coat over PDP's atrament and whitewater. The formulas on all of these polishes was fluid and easy to control and apply. No stickiness or clumping. I enjoyed trying these out and I definitely like what LevelUP has to offer from packaging to formula. Which polishes do you want to try first?